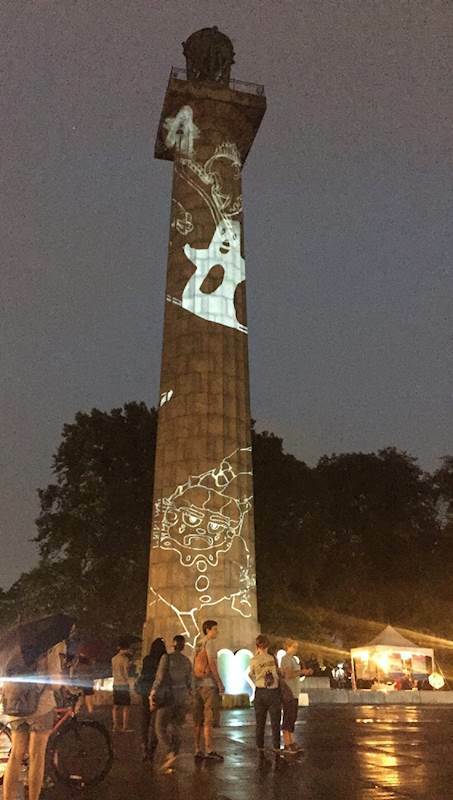 Задача: To bring an urban animation display to life on the 143-foot high Prison Ship Martyrs Monument in Fort Greene Park, Brooklyn, NY. Решение: Unleashing the creative and interactive capabilities of projectors in public spaces, Professor Ali Momeni and his team used four Optoma X600 XGA 6000 lumen projectors to display giant animations on the prevalent monument and bring hundreds of festival attendees together. Результаты: Optoma X600 DLP XGA projectors helped unleash interactive creativity at the 2016 Kickstarter Festival.